The Stratosphere Tower in Las Vegas USA is the tallest freestanding observation tower in the United States. 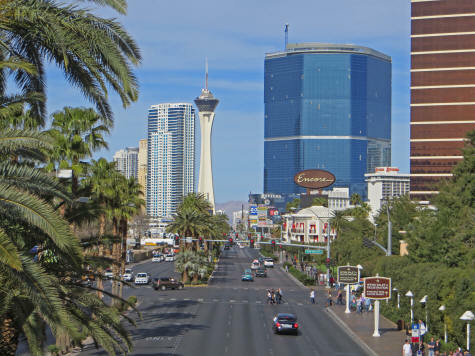 Situated at the north-end of Las Vegas Strip, it features an observation deck at the top of the 108th floor. The cost of admission to the 1,149 foot Stratosphere Tower is $18. The Stratosphere facility also encompasses a number of rides for thrill seekers. They include the Skyjump, Insanity, X-Scream and Big Shot.